I, along with other colleagues from Knowledge-Action-Change, have just returned from Australia on a trip to showcase the Global State of Tobacco Harm Reduction report and to support our friends in that country battling against monolithic political intransigence fuelled by smears and whispers from ‘public health’ flat earth activists over tobacco harm reduction. I was honoured to speak at two sessions in both the parliaments of Victoria and New South Wales and engaged anybody and everybody prepared to listen, enjoying very welcome support from Melbourne MP Fiona Patten who chaired that session. It turns out nicotine patches can do more than just control your nicotine cravings. According to a recent study, nicotine can help improve memory loss in older adults with mild cognitive impairment. The study looked at individuals with mild cognitive impairment (MCI), the stage between normal aging and dementia when others notice that an individual is developing mild memory or thinking problems. Many older adults with MCI go on to develop Alzheimer’s disease. Dr Sharon Cox, Dr Janna Hastings, Dr Caitlin Notley, and Professor Robert West took part in a webinar sponsored by Cancer Research UK (CRUK). They spoke about building an ‘ontology’ for vaping, to help clean up the science and identify research gaps. This was carried out as part of their work for The UK E-Cigarette Research Forum (UKECRF). The UKECRF is an initiative developed by CRUK, in partnership with Public Health England (PHE) and the UK Centre for Tobacco and Alcohol Studies (UKCTAS). It brings together policy-makers, researchers, practitioners and the NGO community to discuss the emerging evidence and knowledge gaps about e-cigarettes. My colleagues and I in the tobacco control movement have based our entire careers on the principle that it is wrong to lie to the public. The bulk of our campaign against Big Tobacco was based on the contention that the cigarette companies lied to the public about the health risks of smoking. Numerous lawsuits were filed against Big Tobacco, seeking damages based on the claim that the companies are responsible because they misrepresented the health effects of their products, thus preventing smokers from making an informed choice. Outgoing FDA commissioner Scott Gottlieb released his long-awaited framework to curtail e-cigarette use among the nation’s youth. Though well-intentioned, the proposed guidance is not balanced and dismisses the scientific evidence behind flavors helping legacy smokers quit. 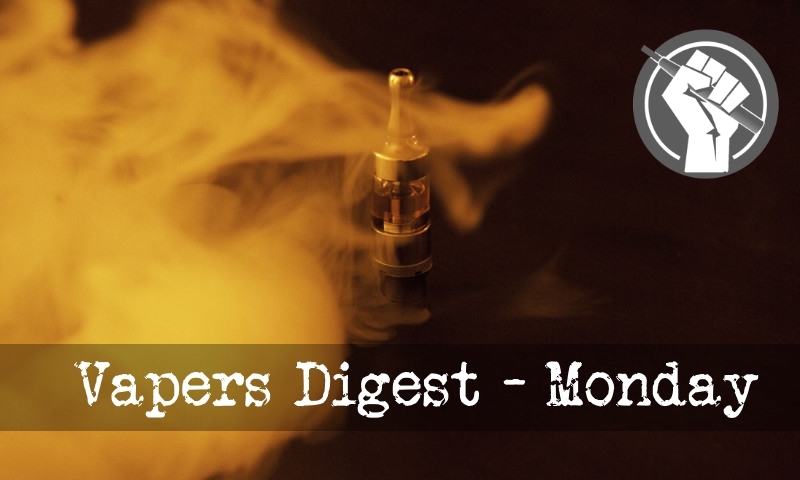 Food and Drug Administration (FDA) commissioner Scott Gottlieb announced the long-anticipated proposed guidance on flavored e-cigarettes and e-juice products earlier this week. Considered the most aggressive policy stance taken by the Trump-era FDA to date, the latest proposal for fighting underage vaping is now open for comment before the agency makes them official. “What if?” – This is a question we commonly ask ourselves when we think about our past and any regrets we might have. In a recent article on ST, first published on NYTimes, author Jeneen Interlandi pondered just that. For her, the main regret was that she picked up smoking when she was just 15, blaming government bodies for not doing enough then to prevent underage smoking, or to make it less accessible for teens. Smoking tobacco results in the world’s deadliest preventable diseases, ending the lives of half of all smokers prematurely. By the end of the century, the World Health Organization (WHO) estimates that one billion people will have died from a smoking-related disease. Globally, smoking rates are decreasing, but in many lower and middle income countries, African nations among them, rates are increasing. WHO data show a steep rise in smoking in many African countries, with many 5-year projected increases at 5% and more. New Zealand’s approach of allowing wide access to e-cigarettes is likely to be bringing overall health gains and cost savings for the health system, researchers from the University of Otago, Wellington have found. The research modelled the impact of liberalising the sales of vaporised nicotine products, such as e-cigarettes, compared to a situation where the uptake of these products was very low – as in New Zealand in 2011. FDA chief to write to state govt, recommending that vapes, e-cigarettes, e-sheeshas, etc be fully outlawed. The Maharashtra Food and Drug Administration (FDA) has decided to ban the sale of electronic nicotine delivery systems (ENDS), with FDA chief Pallavi Darade all set to write to the state government recommending a complete ban on e-cigarettes, vapes, e-sheeshas and other similar devices. Tuesday saw news from Australia and France on the embarrassing failure of plain packaging since it was introduced, but what about here in the UK? For such a much-vaunted and “urgent” tobacco control policy, there has been very little exultation at its effect here, in fact the silence has been deafening. Well, maybe it’s because there is nothing much to shout about. According to Convenience Store magazine [from page 33], it’s had no impact whatsoever. “Children who tried e-cigarettes are 12 times more likely to start smoking tobacco,” is the hard-hitting headline from the Mail Online. But the link is not as robust or clear-cut as this would have you believe. The story is based on a survey of more than 1,000 young people from across the UK. They were asked about their use of cigarettes and e-cigarettes – commonly referred to as “vaping” – at the start of the study and again after 6 months. Keeping up to date with the proceedings of the World Conference on Tobacco or Health, in Cape Town recently, I was reminded of the wonderful film, directed by Richard Attenborough – ‘Oh what a Lovely War!’ – which summarises and comments on the events of the First World War using popular songs of the time, many of which were parodies of older popular songs, and using allegorical settings such as Brighton’s West Pier to criticise the manner in which the eventual victory was won.